Now that I've canned nineteen jars of jam, it is high time I shared some of it. 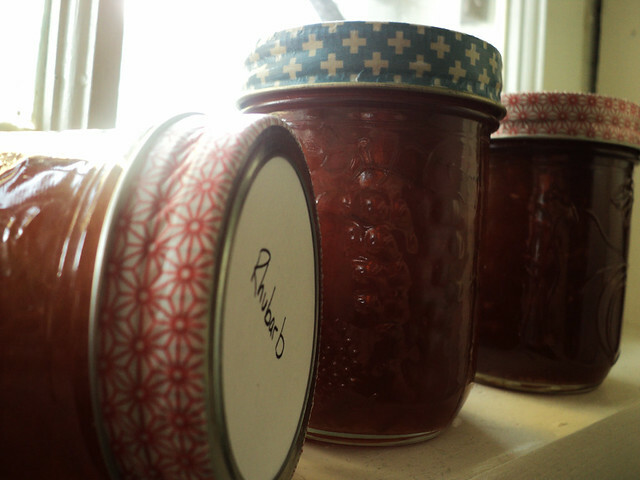 I'm giving away two jars--would you like one? I think you would. If you'd like your name to be entered, comment on this post. As usual, posting a link on your own blog or a social media website counts as an additional entry. And I would be thrilled to post internationally! I'll put your names in a hat and draw two winners on Tuesday, July 25. In "food", "giveaway", "mail", "summer"